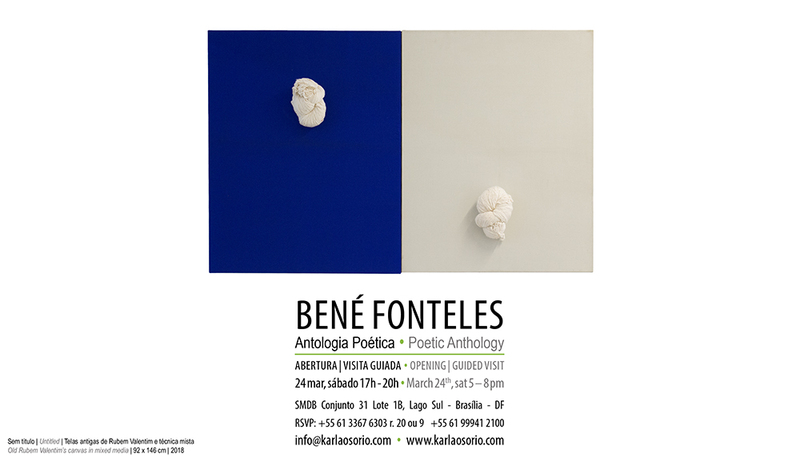 The galeria Karla Osorio presents the solo show by the artist Bené Fonteles, recently represented by the gallery, in an athologyc exhibition presenting works produced between the 2000’s and 2018. 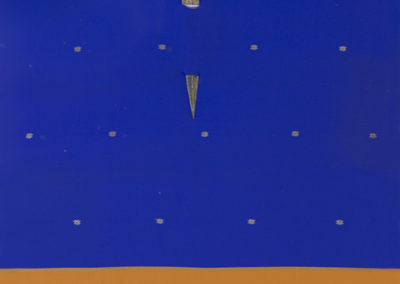 This is the first solo show from the artist since since 2005, when he exhibited at the Conjunto Cultural da Caixa. His last solo in Brazil was at the Museu de Santa Catarina (Florianopolis, 2012). 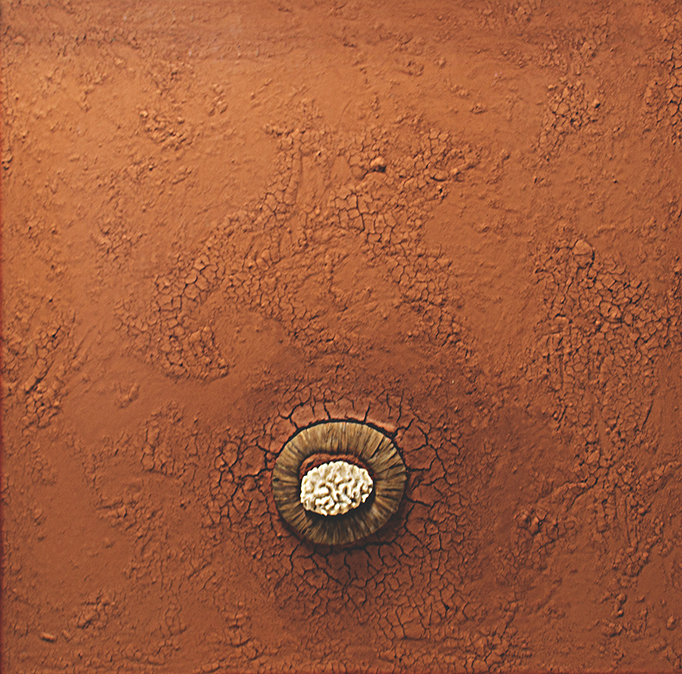 Some of the pieces where already shown in important cultural centers and museums, other are utterly recent, created in an artist residence offered by the gallery. 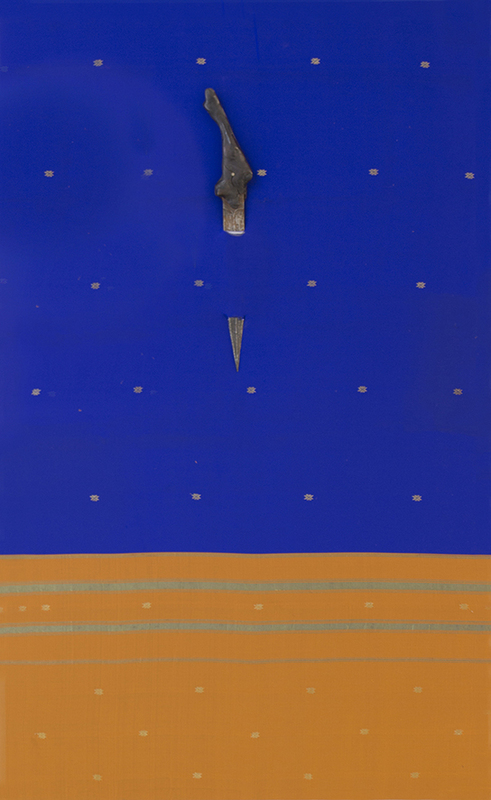 The show depicts the poesis that permeate his work, where affective objects dialogs with the passage of time, about things and stablishes provocative and intercultural talks, where the body in art and spirituality pervades poetically. 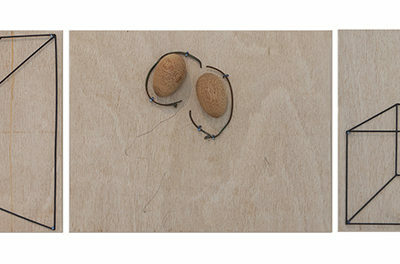 Fonteles recriates in his productions (un)objects filled with a human artisany and from elements of the natural. He gathers elements despised and without any apparent or immediate utility and frequently, without respect to its matter. He is interested in the opportunity to ennoble them, by revealing in them a poetic aspect, so that the others, just as the artist are captivated by the possibility of the poetry, always renewing them while recreating the world. Júlia Rebouças, co-curator of the 32nd Biennial of SP, who invited Fonteles for a historic participation at the event and was part of the guided tour during the opening of the show says: “there is a guiding line of his work, the approximation of different universes, the relation of materials and cultures. It is awe-inspiring, as in the caption of the works, we understand that, in the sophisticated sculptural composition of the pieces, it occurs the encounter, gathering and discovery of elements from different contexts. There are artifacts that approach and distinguish themselves in texture, form, smell, time, and above all, origin, understanding its source not only as the location in time and space, but also as the great cultural repository aggregated to the object”. 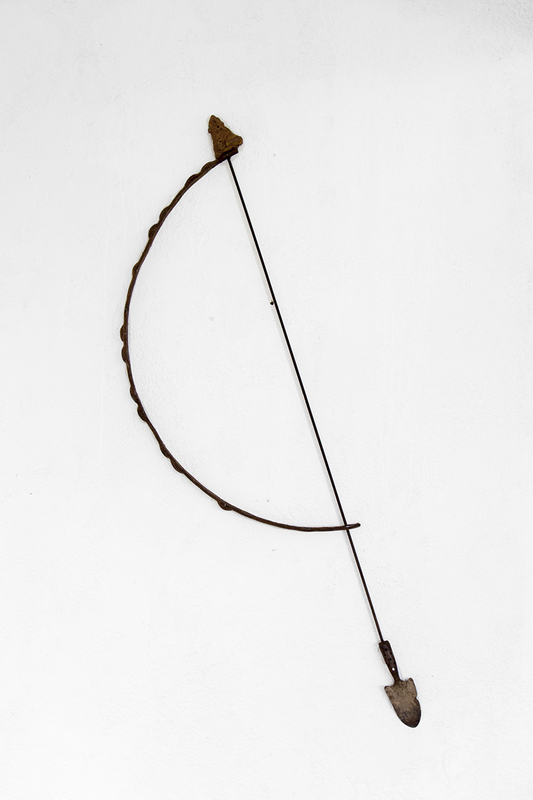 In the other hand, the curator of the Instituto Tomie Ohtake (SP), Paulo Miyada understands that the artist is “a pioneer of the ecologic debate and indigenous in Brazil, being responsible by a whole “artivist” experimentation – as the artist himself designates his conjunction between art and activism – unprecedented in a country that unfortunately is blind towards its origin and fate. 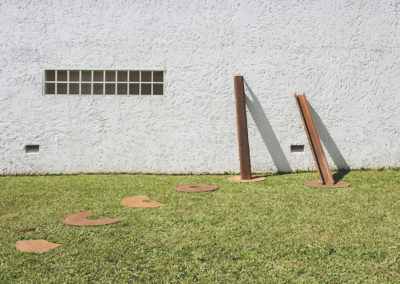 What is no easily seen, unless by being present to his works, is that Bené Fonteles is also one of the keenest producers of tridimensional works in Brazilian art. By adding few everyday e elements, traces and fragments of other material cultures he manages to devise new meanings forms and objectualities. It is not mere appropriation or assemblage, hence the creation is deep, deviating through an enormous synthetic capacity and produces almost alchemical renewals of the begotten meanings. Such exponential release of energy as from the apparently little matter is often accompanied of great sensibility in the choice of words and poetic concepts. 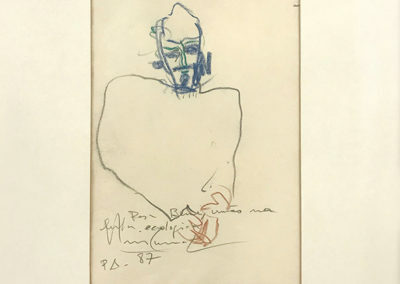 If this has not yet been duly recognized by the contemporary art establishment in the country, it is only by the massive asymmetry in the treatment of artists according to their proximity to certain poles, forms and themes”. 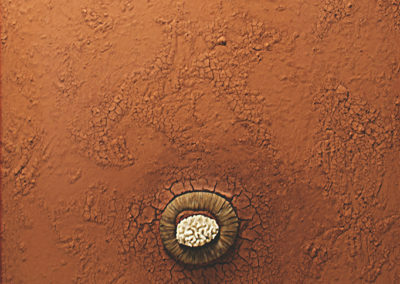 Bené Fonteles (PA/BR) – Born in 1953 in Bragança-PA, lives and works in Brasilia. He is an artist, journalist, editor, writer poet and composer. He started his career in 1971 at the 3º Salão Nacional de Artes Plásticas do Ceará. Since then he wanders between art and crafting, basing his work by the transformation of basic or fragile materials, lifelike or barely affected by man, like stones, tree trunks, ropes, rustic fabrics, wires and others. 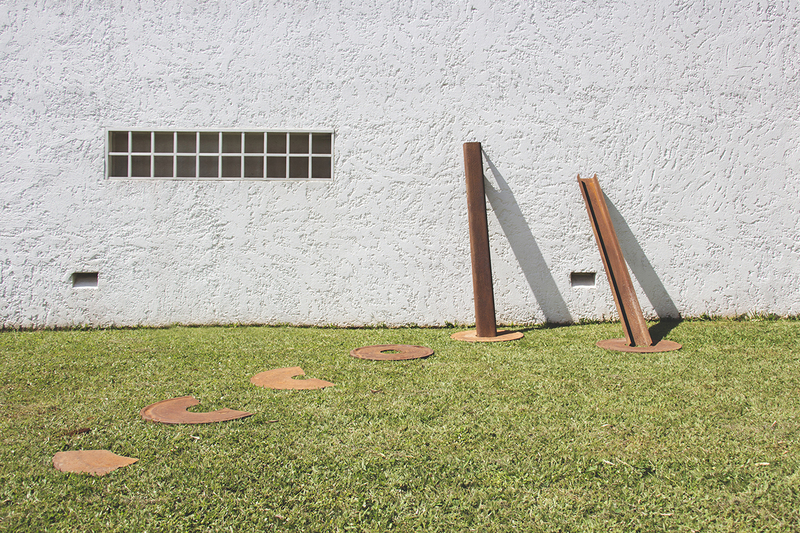 Participated five times of the Bienal de São Paulo, as well as at the Panorama de Arte Atual Brasileira at the MAM in Sao Paulo and experimental shows at the Museu de Arte Contemporânea at the USP. 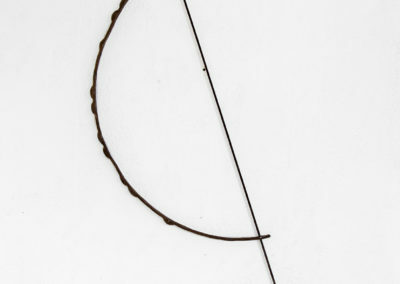 From his solo shows, it can be highlighted the shows: “Sudários” at the Espaço Cultural Contemporâneo – ECCO in Brasilia, “Audiovisuais” and “Terra”, performed at the Pinacoteca do Estado de São Paulo, “Bené Fonteles” at the Parque Lage in Rio de Janeiro and many others. 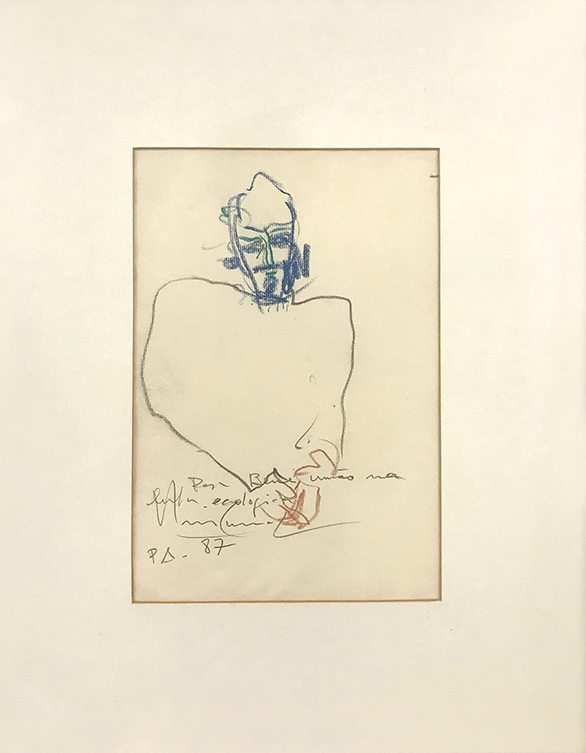 He is also present at many private and institutional collections across cities like São Paulo, Rio de Janeiro, Curitiba, Fortaleza, Belém, Cuiabá, Paris and New York. Besides acting as a visual artist, he also edited and published many books about artists like Rubem Valentim, Mario Cravo Neto and Athos Bulcão, etc. He also acts as a curator and creating expography projects for visual art shows and was also director of the Museu de Arte of the UFMT, the Museu de Arte de Brasília and was awarded the Order of Cultural Merit by the Ministry of Culture.